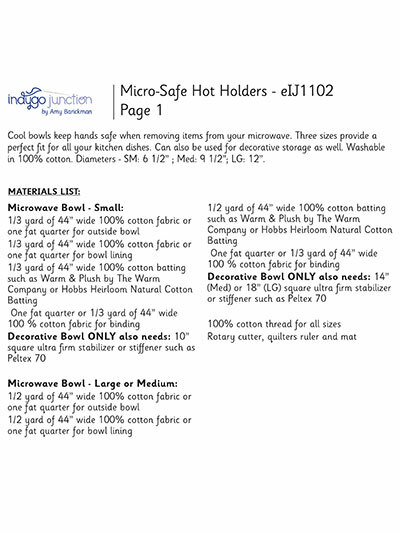 Keep your fingers safe from hot microwaved food. 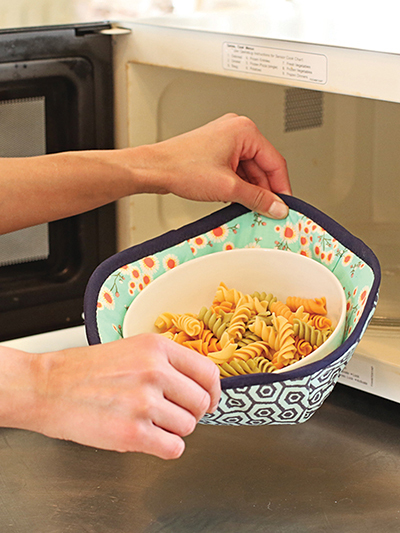 You'll never burn your fingers again on a piping hot bowl from the microwave when you use these hand holders. 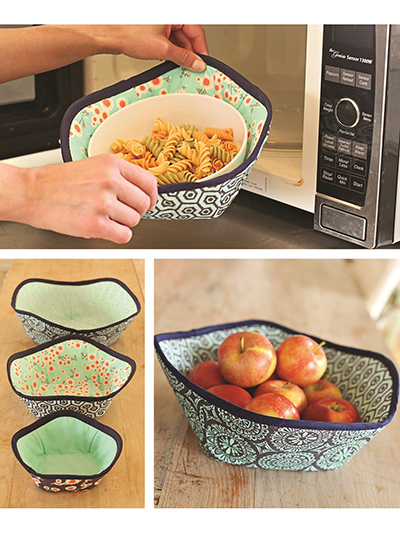 When you're not using them for the microwave, they make great bowl for storing apples, oranges or any other fruits or vegetables on your countertop. 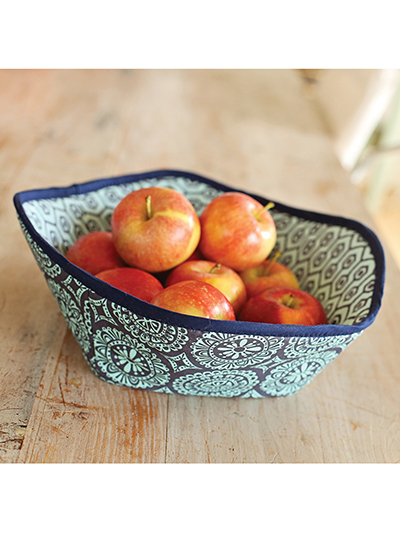 Each bowl uses 100% cotton batting on the inside and ll sizes are fat quarter friendly. I have made a set of these as part of a bridal shower gift. They were east to make and came out bright and cheery. 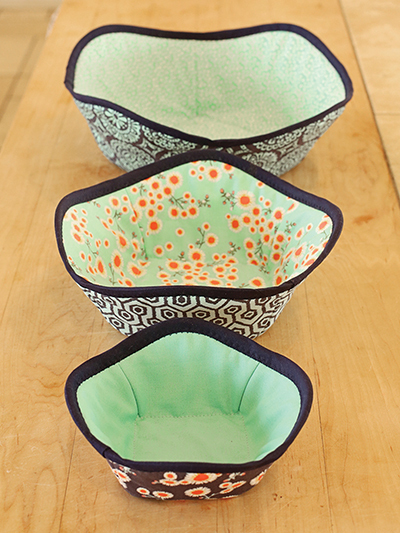 The pattern was very easy to follow and the finished product is so much nicer that bowl protectors that I've seen made from other patterns. Pattern was easy to follow once I read through it a few times. First attempt came out well. Plan on making a series of them for holiday gifts. 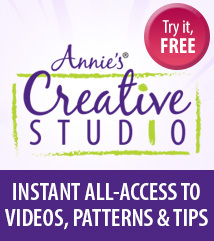 Pattern is easy to follow and make. Great for a small gift! I love it! Great little gift to make, pattern easy to read, have all your requirements, cut them out and you can have made up in no time.